Noble has unveiled its ZeroTree collection, a brand new series of eco-friendly bags and packaging items designed to help conserve the environment and sustain the future of our planet. We developed this stylish new product line using materials that help reduce reliance on trees, and using eco-manufacturing processes that minimize air pollution, water use and the use of harmful chemicals. Another goal we had in creating our ZeroTree collection was to encourage recycling and reuse. 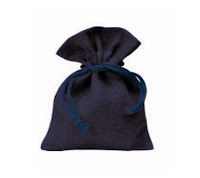 Our bags can be imprinted with your logo, which provides an incredible opportunity for increased brand recognition, since the reusable bags may be used for years after the original purchase. 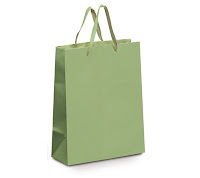 Our new ZeroTree bags come in a wide variety of colors and styles, and are made from a range of popular environmentally-friendly materials, including stone, abaca plants, bamboo, jute, recycled plastic bottles, recycled polypropylene and cotton. Other items in this innovative collection are biodegradable jute and cotton wraphia ribbons, jute cords and pouches, and wrapping paper and tissue shreds made from recycled materials. 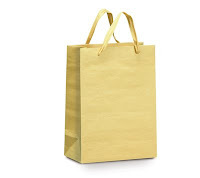 Check out these gorgeous bamboo bags, which offer the look and strength of traditional paper bags without destroying trees. They are made of 100 percent bamboo fiber, and are biodegradable and recyclable. The bags are available in four different colors and are dyed with soy-based inks. Because bamboo is the fastest growing plant in the world and quickly regenerates, it has become one of the trendiest eco-fibers in countries that have traditionally relied on trees for manufacturing paper products. 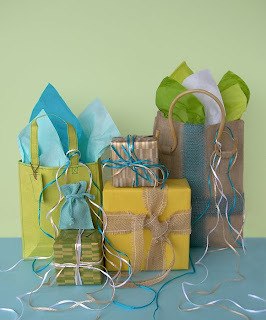 Save the environment with style with these attractive jute pouches and ribbons. 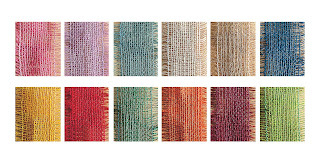 Jute's woven, textured look is gaining popularity with eco-conscious consumers everywhere. These super-strong pouches and ribbons can add beautiful natural accents to your packaging creations. Made completely of plant fibers, our jute products are biodegradable, recyclable and reusable. See our catalogue for a whole range of options, including our new line of jute bags. 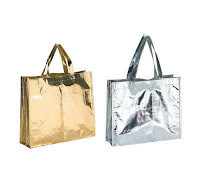 cycled polypropylene material, our metallic bags are just as strong as cloth bags, and are significantly less expensive. 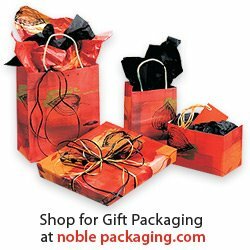 Noble is committed to providing you with all the latest environmentally-friendly packaging options. We hope you can take advantage of our ZeroTree collection. It's a great opportunity to show your eco-conscious customers the active role you are taking in preserving our planet for future generations. 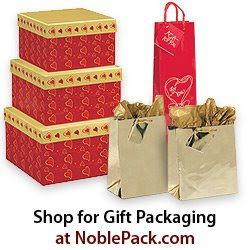 We encourage you to advertise that you are using Noble’s ZeroTree products. If you would like to promote what you are doing to address environmental issues, just ask us. We can provide you with ready-to-display ZeroTree certification that will instantly get your message out. For more information about our new ZeroTree line, read the press release here. 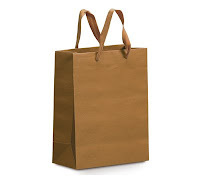 The ECO Bags shown below are manufactured form a wide range of natural or recycled materials including natural cotton, jute, canvas and paper. The Eco products featured provide all the functionality of traditional merchandise but with the added benefit of helping the environment. Thanks for sharing the good information about the eco friendly jute bags. Gifts are the way to express your feelings to someone very special and it’s very important to pack the gift in a very impressive way to add value to the gift. Gift packaging is an art in itself. Very few people are able to create stunning Gift bags that make for superb presents. 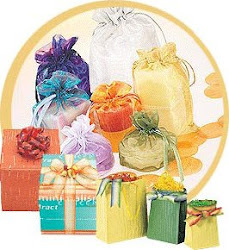 However, when you understand what goes into great custom gift packaging every gift you give will be well appreciated.